The Modern Movement Edge board 2.0 extension trainer is a full-body extension trainer you can activate with your hands or feet for lunges, push-ups, pike-ups and 14 more exercises. Download the free M-Trac app for digital trainer-led workouts or customize your own. Either way, you can follow the action right on your smartphone or TV, and track your workouts to see progressive endurance and strength gains over time. 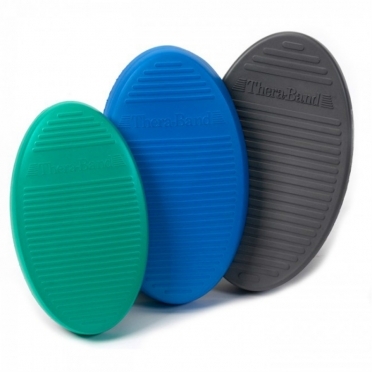 The Modern Movement M-Pad balance trainer increases balance and engages core muscles with a tilt & swivel motion that mimics real-life movements. Download the free M-Trac app for interactive games, training programs and instability tests that you can view on your phone or TV. Track your workouts to see balance and agility gains over time. Tunturi Balance Trainer 14TUSFU152 for stabilization and coordination exercises. With tubes for various training workout. 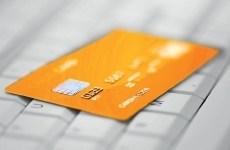 An exercise chart is included. 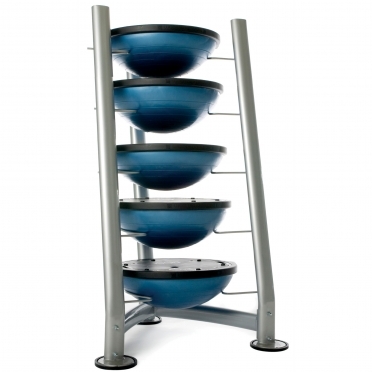 The Bosu Ball Storage Rack (ESC16RACK) is a stylish rack, in a space efficient design. 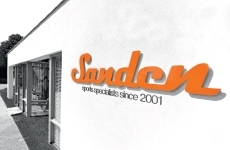 It is manufactured to a high standard with a powder coated frame - keeping your Bosus safe and uncluttered. 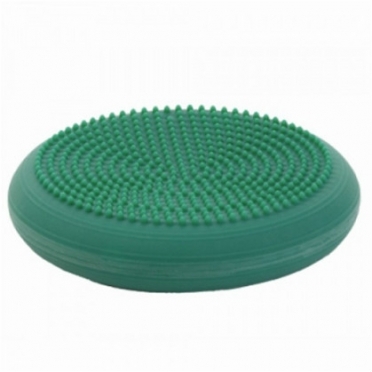 The Stroops Slastix for BOSU are available in 6 different resistances, from very light till super heavy. This handy BOSU weight ball with a weight of 2 kg and a diameter of 12 cm is manageable because of its flexibility and by that ideal for sportspecific training, upper and lower bodytraining and balance and stabilization training. 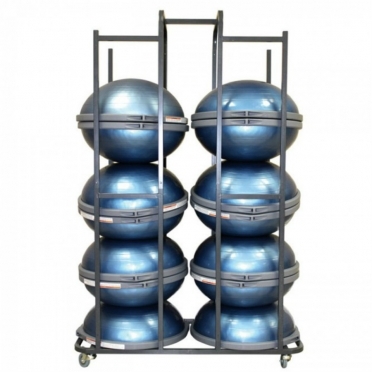 This Cart can efficiently store and easily transport up to 14 fully-inflated BOSU Balance Trainer in any sized fitness facility.Cart is constructed of durable steel, has heavy duty, non-marking casters and fits through a standard size door.Dimensions: l x w x h : 125 x 65 x 210 cm. The Bosu balance trainer elite edition was created with one purpose in mind: to create a better athlete by anyone regardless of his fitness level or age. 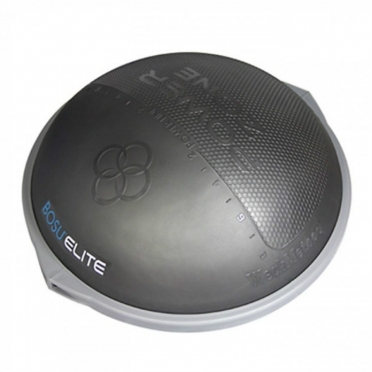 The unique design of the BOSU Elite and associated training programs bring the body in an ideal athletic position, resulting in more power, speed and flexibility. 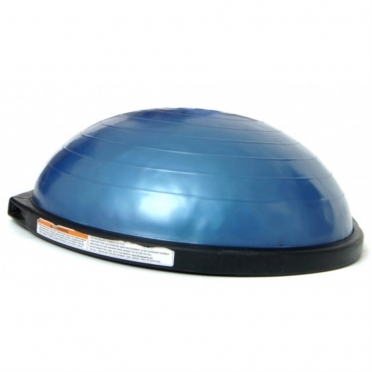 Featuring a new, improved design and durability, the Bosu balance trainer PRO edition 350010 has a bladder weight of 8 pounds, and a dually over-molded platform for extra strength. 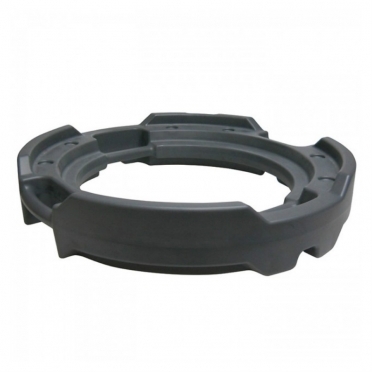 It has a smooth, non-skid, non-marking base. 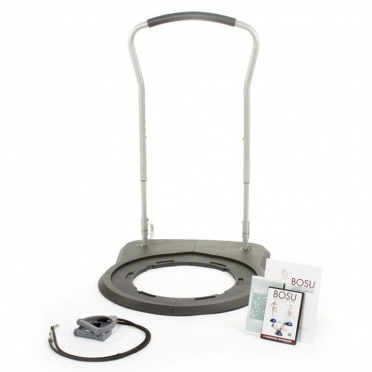 The BOSU PRO Balance Trainer has a blue dome with logo detailing, light grey clamp and platform, and includes a foot pump, BOSU Integrated Balance Training Manual and DVD. 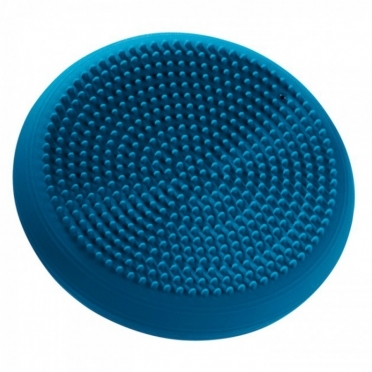 The BOSU Balancetrainer Home Edition is intended for use at home. 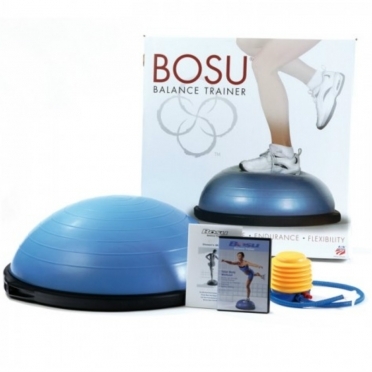 Your BOSU Balance Trainer is available in blue and pink and comes with a pump, an exercise manual and a workout DVD with aerobic and strength training and of course balance training. 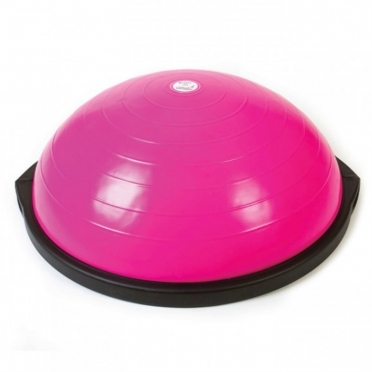 The Bosu balance trainer home pink edition 350050 is intended for use at home. Your BOSU Balance Trainer is available in pink and blue and comes with a pump, an exercise manual and a workout DVD with aerobic and strength training and of course balance training. 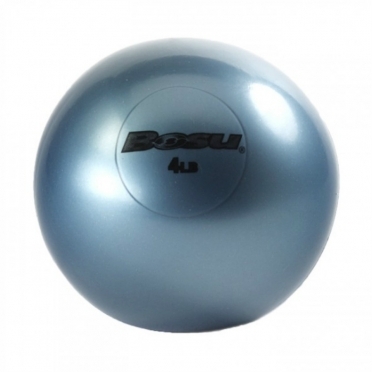 The Bosu soft weight ball (2kg) 350110 is easy to hold and is ideal to get more different exercises with the BOSU Balance Trainer and Ballast Ball.The soft weight is specially designed to keep the ball with one hand. 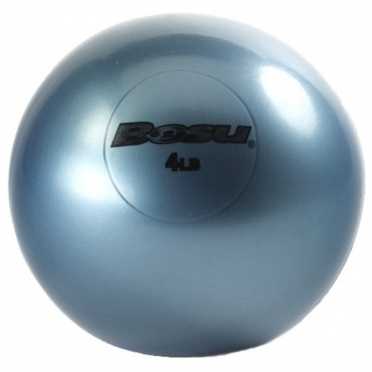 Combine the BOSU Balance Trainer with Bosu powerstax 350410 to elevate the surface by 4 inches. 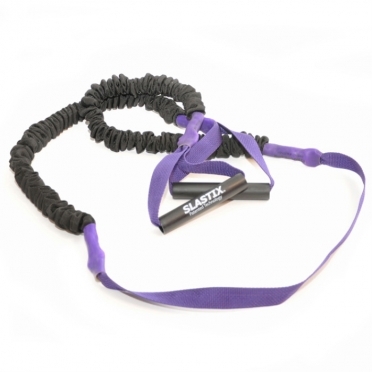 Challenging advanced level exercisers, or simplifying accessibility for older and deconditioned participants. 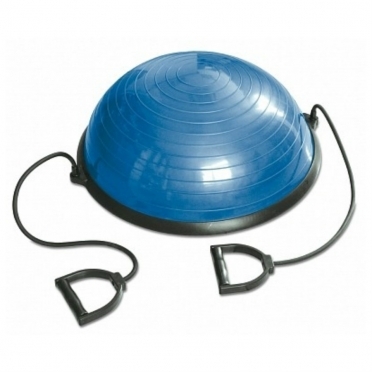 BOSU POWERSTAX also helps to stabilize the BOSU Balance Trainer in a dome side up or down position. 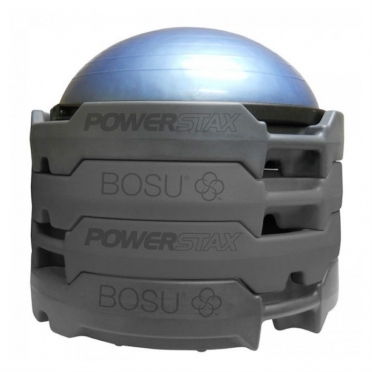 Also, on its own, and when filled with two to 35 pounds of water, BOSU POWERSTAX transforms into an unpredictable resistance tool. Combine the BOSU Balance Trainer with Bosu powerstax set of 3 (350420) to elevate the surface by 4 inches.Challenging advanced level exercisers, or simplifying accessibility for older and deconditioned participants.BOSU POWERSTAX also helps to stabilize the BOSU Balance Trainer in a dome side up or down position.Also, on its own, and when filled with two to 35 pounds of water, BOSU POWERSTAX transforms into an unpredictable resistance tool. BOSU is more than the world’s most amazing piece of fitness equipment – it’s a total 3D Body Sculpting System. And with the new platform and adjustable balance bar, just hop on and have fun as you lose weight and tighten and tone like you never have before.